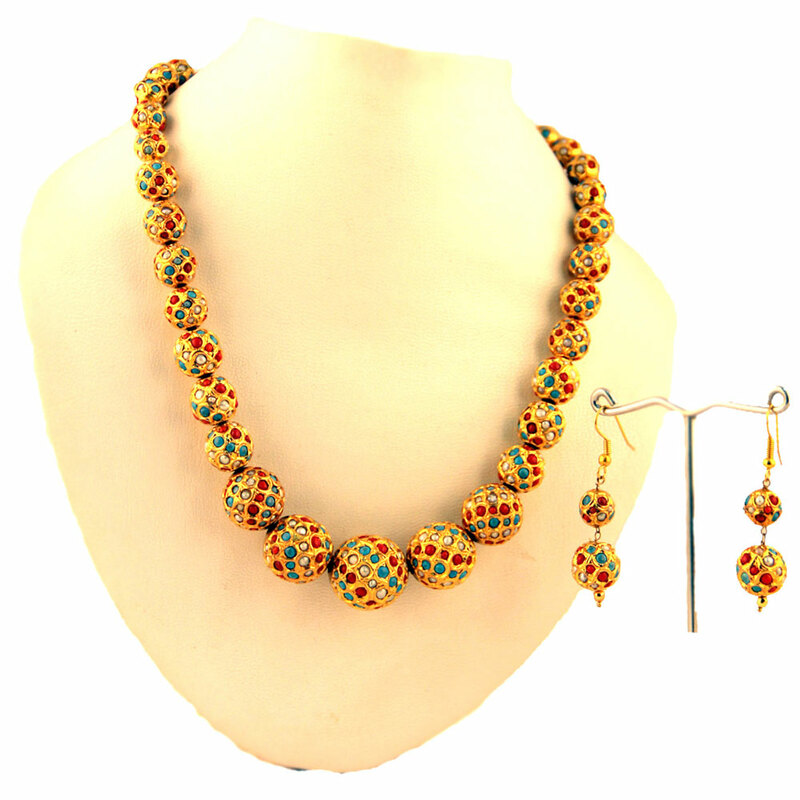 The high-spiritedness and liveliness of the parti coloured stones that are accustomed adorn the gold plated brass metal balls of this designer jewelry set, shines through brightly. The vivacity and liveliness of the multicolored stones that have been used to decorate the gold plated brass metal balls of this designer necklace set, Read More..shines through brilliantly. The two tiered matching earrings, provided with metal hooks for easy use, add to the overall youthful appeal of the entire set. Show Less..